Will you buy a smartphone if there is no feature like browsers and email services? There you’ve got your answer: Not in a million years. Browsers and email services are ones of many features we are already familiar with before the smartphone was exploding. It was all started with a PC, then smartphones come and give us the flexibility to browse and access email services anywhere and anytime. The killer applications on smartphones today is the conclusion of the killer applications on the PC (spreadsheet, music player, browser) and on the internet (email, Google search, social media). So, what if VR killer apps are actually the apps we are already familiar with but is showcased in a more immersive way? In this post, we have curated six categories that could be VR killer apps. 1 . Life simulation video games: Living the life you won’t have in real life. The Sims is a life simulation video games series with nearly 200 million copies are sold worldwide. 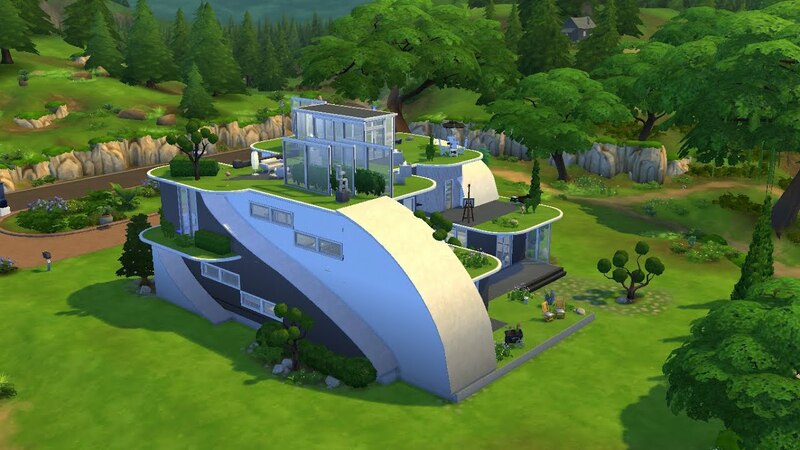 If you have played The Sims for the rest of your life, then you know that playing The Sims is all about creating your dream house with some fancy cars, becoming a celebrity, having some dangerous romance affairs, getting married happily, and all that kind of life you won’t have in real life. And, sometimes you wonder: Wouldn’t it be nice to live that kind of life? Imagine if The Sims were in VR. You are your own sim. You’ll be living inside your dream house in the first point of view, right inside the game; meeting your virtual lover and make some mess that you’re too afraid to do in real life; becoming a celebrity and seeing fans run to you and ask for signatures. In short, The Sims in VR is living a life you don’t have in real life — but in a good way. Plus, there are some rumors said that The Sims 5 is in the work, and it’s probably in VR! Or… maybe, do you want something more dangerous? Then, GTA in VR would be everything you need. Playing GTA is simply living the life of a criminal in an open world. 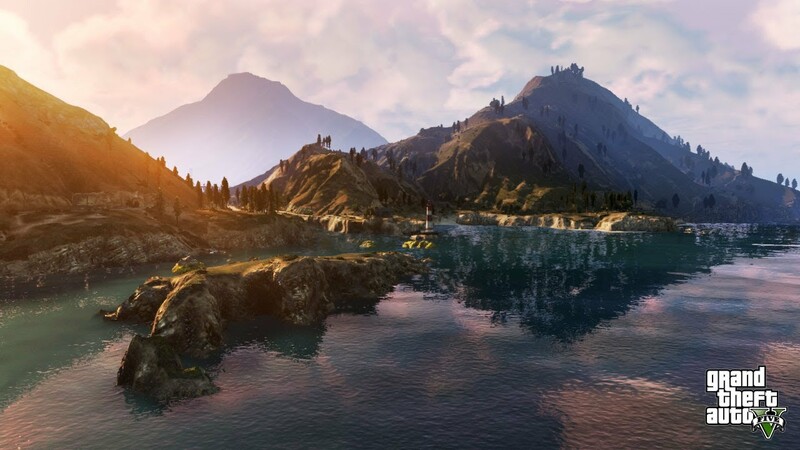 If GTA were in VR, imagine how you’ll be driving like crazy, chased by the cops, making a random chaos on the road, stealing a plane and riding it anyway, working on a mission full of crimes, hiking in a mountain. All from the first point of view, which is you, right inside the game. And, these are the things you won’t do in real life, and thanks to VR for making you feel like you’ve had that. P.S. GTA is unofficially available on Steam VR, made by a fan, still a beta. 2. Online Store VR: As easy as an online store, as real as an offline store. The problem of buying online (whether it’s from a PC or a smartphone) is that you can’t see the real size like you did at the offline store. VR solves this problem right away because once you’re wearing a headset, you will be at the store — virtually. In late 2016, China’s Alibaba launched Buy+, a virtual reality experience that could be accessed with a virtual reality headset. According to Vice, 30,000 people had already tried Buy+ an hour after its launch. Also, Amazon are working on adding virtual reality shopping to increase sales. In May 2016, Ikea let users design their own kitchens with an HTC Vive. Later in 2016, eBay Australia teamed up with Myer to create the “first virtual reality department store,” but it simulated a web of floating objects rather than a physical store. The problem of watching a video on a PC is that you can’t bring that big screen anywhere. Meanwhile, the problem of watching a video on a smartphone is, even though you can bring it everywhere, the screen is small, and it feels uncomfortable to share it with others. VR will eliminate all these problems. Imagine this: A standalone VR headset is released; once you wear it, you’ll have a virtual home theater with a big screen, everywhere you go. 4. Social media that makes you meet people in one place— virtually. The one and only technology that enables us to meet people from different places in one place is virtual reality. And, Facebook is working on this possibility. Potential VR Killer Apps: Spotify, iTunes, Pandora. Remember visualization on Winamp that makes you feel like going through time and space yet relaxing at the same time? Imagine you’re listening to some random music on Spotify or Pandora, with such visualization, but in VR. No need any meditation application anymore. And, it’s already here, everyone. Once Google Earth VR has that Google Street View’s feature, it will be everything. You can expect what kind of road you will head to. You can also see the building of your destination without getting lost, from your home. 6. Or, the VR killer apps might be something totally new that we’ve never seen before. And, we will know once it’s there. VR killer apps won’t be the only reason people purchase a VR headset. The VR headset itself must be relevant to this generation: Flexible like a smartphone, so a standalone VR headset is a good chance to shine. Google and HTC are currently working together on this project. But one shall do something to make VR bigger than today. BeThere, a book that takes you there. BeThere works like a book: No assembly required, just open it; easy to bring, carry, and distribute everywhere. The idea of BeThere is to treat VR as a “book that takes you there”. Imagine reading a book about traveling, but more than that, you can also do a virtual traveling through that book. That’s how BeThere works. BeThere is a perfect marketing and education tool. For VR developers, BeThere is a good to chance to promote your high-end VR project in a lite version. With BeThere, you can add pages, a board game that is related to your project, 3D pop-up object to show the artistic side of your project, maps, and anything you want; all in one place. We have applied BeThere to some educational use. For example, we applied the idea of BeThere to Mishkat Interactive Center Atomic and Renewable Energy in the Kingdom of Saudi Arabia. In line with Saudi Vision 2030 to build up the sector of renewable energy, we crafted a special edition of BeThere called “BeThere — Renewable Energy” to learn about renewable energy for kids. BeThere — Renewable Energy is a VR package, which includes a customized BeThere and a VR app to learn about renewable energy. And, we won’t stop there. There is going to be BeThere — Inside Human’s Body, BeThere — Climbing an Active Volcano, BeThere — Life Under the Ocean, and many more. And, you can take your part in this journey. So, what do you think are the VR killer apps? ← Does VR Need Top Smartphone Apps to Be Mainstream?